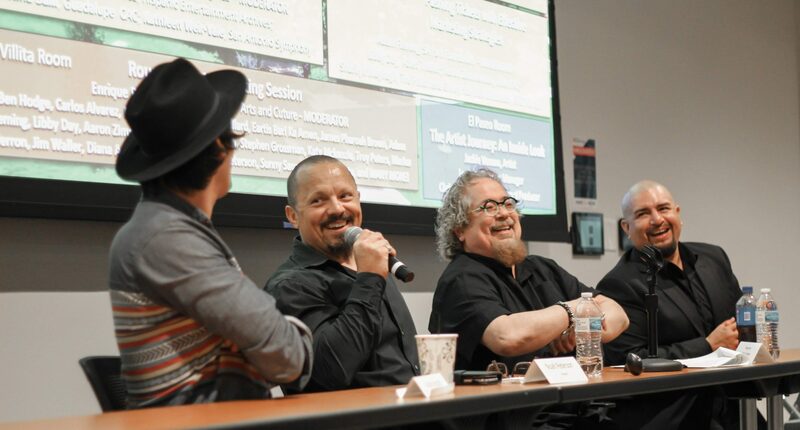 Returning to Music Biz Day for the 4th year in a row is Austin musician and entrepreneur Julian Acosta. He studied business for about 3 years in Queretaro, Mexico before finishing his Marketing degree with a concentration in Music and Media from The University of Texas at San Antonio. In 2015, Acosta’s label Capitol City Records was named top 10 labels in the SXSW Music Industry Awards. If that wasn’t enough, The mayor of the city of Austin dedicated June 18th as Julian Acosta Day for his contributions to the city’s music industry. Ever since I can remember, I have always had a desire to be a part of music. Music was how I would make friends and relate to people before I learned to use my big boy words. Music taught me to pronounce languages. I would sing songs like “Charlie Brown” by The Coasters and “All My Love, All My Kisses” by Buddy Holly during Little League in the outfield and using a baseball glove as the guitar… in the middle of a game. Music makes me everything.” -Julian Acosta. Julian Continues to make music till today. He was voted top 10 musicians in the SXSW Music Industry Awards in 2016, and his label made the top 5. What is most impressive is that he did this just 2 years after pursuing his career in music. Do not miss the chance to meet Julian on April 6th at Music Biz Day. For more information on Julian Acosta, please visit the following links: Website, UTSA Feature, Music.